Ramen is so popular around the world. Here are some interesting Ramen stories I want to share with you. 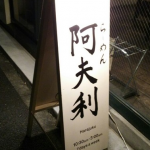 Do you have any idea which prefecture has the greatest number of Ramen restaurant? Do you think it’s Tokyo? 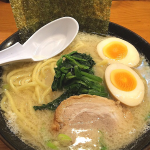 According to research done in 2013, Yamagata Prefecture has the greatest number of Ramen restaurants in Japan. To be precise, this number is based on per 100,000 people. 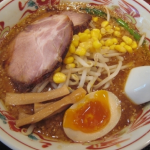 There are 817 Ramen restaurants in Yamagata Prefecture and that makes 70.98 Ramen restaurants per 100,000 people. 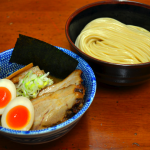 While Tokyo has over 3,000 Ramen restaurants, the ratio of the number of Ramen restaurants and the population in Tokyo is less than Yamagata Prefecture (28.69 per 100,000 people). According to this statistic, Tochigi Prefecture ranks as 2nd, while Niigata Prefecture ranks as 3rd. Worst three are Nara, Hyogo and Osaka with 13.49 per 100,000 people. According to Michael Gibson-Light, ramen is most popular item among U.S. prisoners. He spent a year to conduct his research and interviewed about 60 prisoners to find out their opinions about food in prison. His research reveals that U.S prisoners are not satisfied with quality and quantity of food in the prison. They would exchange cigarettes, clothes or vegetables for instant ramen. 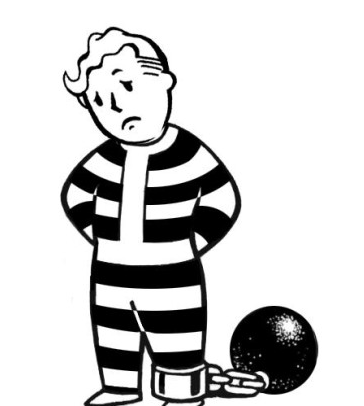 Gibson-Light concludes that Ramen noodle is valuable and very popular item among U.S. prisoners. Others also read this post Who Invented Cup Noodle? There was not much Ramen restaurants in Vancouver when I came first time. You had to search and go to a specific area in downtown to eat Ramen. Now it’s easier to find because Ramen has become popular among Canadians. I don’t go too often but I always see Canadians enjoying the authentic ramen in a restaurant. You might have to wait to be seated for a while during winter. Those Ramen fans don’t mind to wait even if it’s cold. They love to eat Ramen. It’s said that over 100 billion Ramen is eaten around the world every year. 100 billion! I cannot imagine how many it is. Brazilians eat Ramen a lot and MIOJO (明星) is the most famous Ramen in Brazil. Some Brazilians don’t use soup powder but they make their own soup. This Japanese owner wanted to make special soup and it took 8 years for him to master the soup. 8 years! A lot of Chinese are impressed. So am I! His Ramen is more expensive than other restaurants in China because he cooks Ramen soup for over 14 hours. Chinese customers can choose kinds of soup, noodle, amount of oil and toppings, thus this Ramen restaurant is very popular in China. Wherever you go, you will probably find instant ramen. 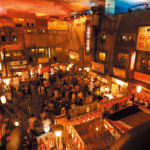 If Ramen is popular in a country or certain areas, you would be able to enjoy fresh Ramen in a restaurant. Japanese Ramen is such attractive food and people cannot stop trying new Ramen restaurants.